From volcanoes to dinosaurs, 123Klan, Flying Fortress and Slick come out in force for POW! WOW! 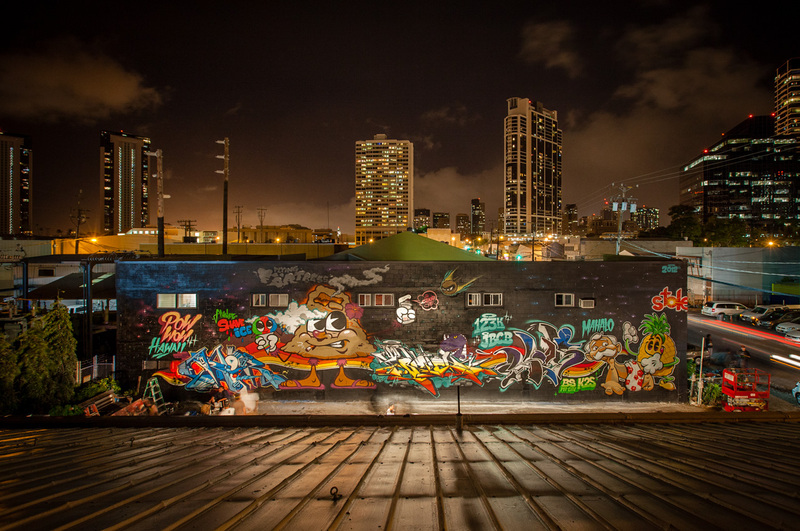 Hawaii’s 2012 edition of the Fresh Cafe wall.